Local businesses need local SEO – it’s as simple as that. Since Google shook up the world of local search with the Search Engine Land-dubbed Pigeon update in July 2014, local directory sites have been getting better results in Google search. But, with greater visibility comes greater competition, and, as such, Local SEO has been a hot priority for web marketers ever since. These days, it doesn’t matter if you’re a global tech giant or tiny store on the high street selling jewellery or fish or potatoes – before anyone walks through your doors, you can be sure that they’ve checked you out online. Indeed, one of the greatest benefits of Local SEO is that it helps the modern mobile-empowered consumer actually locate your physical store on Google Maps and such like, and from there they can work out a leisurely stroll through town to your front door. But what are the best practices for Local SEO? How can you improve your store’s rankings for local search? If these questions are on the tips of your lips, then you’ve come to right place, my friends. Here are two of the most important steps anyone can take to improve Local SEO efforts without having to have a degree in coding. Your Google My Business Page is the rod that holds up the back of all of your Local SEO strategies, and therefore it’s natural that we take our first step here, and imperative that you get it right. Essentially, Google My Business has been designed to be a unified interface that local brands and businesses can use to organise their Local SEO assets on one dashboard, and from where you can manage all of your social, search and web initiatives simply and easily. First thing’s first with Google My Business – get all of your basic business information filled in completely and accurately. This includes your business’s location on Google Maps, your website address, a description of your business, your business address, your phone number, links to your social profiles, and your opening hours. Next, you need to verify your business with Google. It’s super important that you make sure that all of your information is as accurately entered as possible before you attempt to verify your business. This is because requesting verification involves Google sending you a verification code, which can take up to two weeks by post, and, if you change any of your business’s information during that time, Google might suspect something fishy is going on, and you will have to re-apply for another code (which means another wait). One final thing which is highly recommended for your Local SEO with Google My Business is to add a virtual photographic tour of both the inside and outside of your premises. This tour will then be added to your Google My Business Page for any visitors to have a browse. It’s simple to organise – just locate the “Add a virtual tour” button to be taken through the necessary steps – but unfortunately isn’t free. You’re likely to pay upwards of around £200 in fact, but, if you can budget for it, then it will help your Local SEO no end. Citations are simply any mention of your business on the web, regardless of whether that mention contains a link or not (hence this is not about link building). Citations can be just the name of your company, or can contain your name plus your phone number, address and/or a link. A strong citation portfolio is imperative for Local SEO. Indeed, David Mihm, co-founder of GetListed.org (which merged with Moz Local in 2012, which you’ll see if you follow the link) and general Local SEO expert, found that citation-related factors made up 25% of the top 25 Local SEO ranking factors. 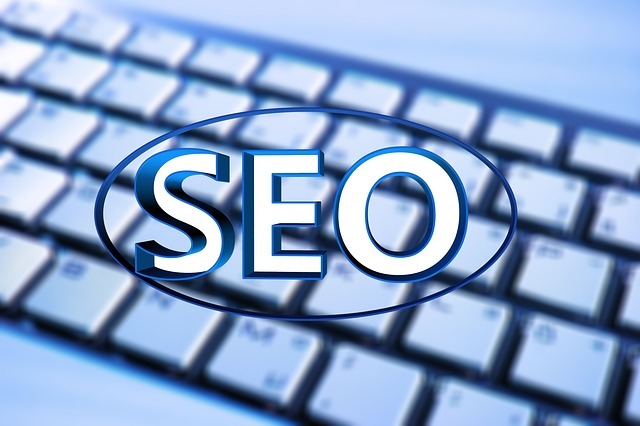 Now, SEO in general always involves a lot of research and (sometimes) a bit of guesswork – exactly how Google’s algorithms work is largely kept close to the big dog’s chest. But, Mihm is pretty much the number 1 thought leader on Local SEO, and so if he thinks that citations are important then that’s a pretty heavy indicator that they are. Ok, so let’s assume (with some authority) that local citations are pretty darn important to Local SEO – how do you go about building up a good portfolio? Well, you need to begin by doing a citation audit, which, very simply, gathers information on all your citations that currently exist around the web – from business listings to blog posts and online news articles. This is good information to have, for it will let you know how much work there still is to be done in building your profile. When you’ve got the results, you need to check that the information included in each citation is correct. Ensure that your NAP (name, address and phone number) information have all been submitted accurately – if they’re not then you will need to contact the site owner to try and get the information changed, as each citation is a little Local SEO boost. You’ll also want to check for any duplicate listings of your company name and address in any business directories, as these put a black mark against your Local SEO efforts – once again, your only real option is to try and get hold of the site owner and have any duplications removed. Once your audit is complete, it’s time to start building. You want to build up a strong list of structured citations. What are those? Structured citations are simply the citations found on business listing sites like yell.com etc. There are, of course, hundreds if not thousands of business directories that you want to get listed on – locally, nationally and industry-specific. So, do your homework with your citation audit, find out where you are (and make sure the info is correct and not duplicated) and where you are not, and make it your mission to try and get a citation on as many listings as possible. When it comes to unstructured citations (i.e. blogs, newspaper websites, event listing websites, job websites, government sites, etc.,) you will naturally have less control. However, playing the good old content marketing game is a good method to start getting your name mentioned in more places around the web. And another good unstructured citation building hack is to start writing strong press releases every time you launch or do something new, as this will start gaining you a good number of unique, unstructured citations and subsequently a great boost to your Local SEO. If you need help with your Local SEO – perhaps with your on-page website and landing page optimisation, or with using schema markups – then we’ve got you covered here at My Social Agency. Just head over to our Contact Page and ask us what you need, and start that conversation that’s going to launch your Local SEO to the next level.